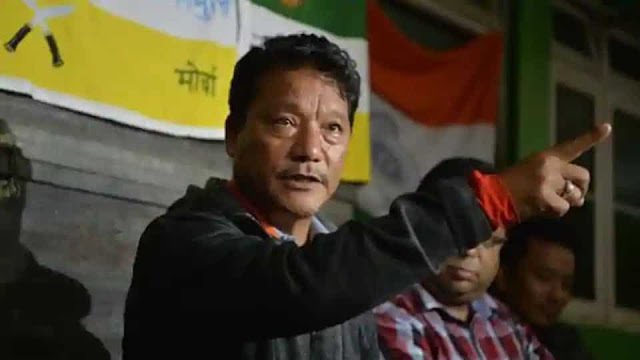 In a significant development that may affect the political scenario in the Darjeeling hills of Bengal in the run-up to the Lok Sabha polls, the Union home secretary will meet followers of absconding Gorkha Janmukti Morcha (GJM) leader Bimal Gurung on Saturday in New Delhi. “A meeting between leaders of Gorkha Janmukti Morcha and Union home secretary and other officials of home affairs has been fixed on October 5 2018 at 3 pm at North Block, New Delhi to discuss all related issues,” Col. (retd) Ramesh Alley, a senior GJM leader said in a statement on Wednesday. Charged under several sections of anti-terror law and wanted by the Mamata Banerjee government, Bimal Gurung and a few other top leaders have been on the run since last year. GJM has since split and Gurung’s former follower Binay Tamang now leads the dominant faction of the party and enjoys the confidence of the Bengal chief minister. GJM’s founder, Gurung who spearheaded last year’s movement for a separate state for Gorkhas, ended the 104-day strike in the hills after Union home minister Rajnath Singh appealed to him on September 26 2017 and promised a meeting to discuss the statehood demand. But that meeting never took place. Suraj Sharma, spokesperson of GJM (Binoy Tamang faction) questioned the timing of the meeting. “People would like to know why this meeting has been called more than one year after normalcy was restored in the hills,” he said. Political equations have changed in Darjeeling ever since the state government cracked down on Gorkhaland agitators. Gurung, Roshan Giri and many GJM leaders are on the run and face charges under Unlawful Activities (Prevention) Act. Binay Tamang is now chairman of the board of administrators in the semi-autonomous Gorkhaland Territorial Administration. The GJM under Bimal Gurung had been ally of the BJP. But with Gurung now a fugitive, the BJP could find it difficult to retain the Darjeeling seat in 2019. Gurung’s rivals have becomes allies of the Trinamool government.